The Scrapbook Challenges Blog Hop!! 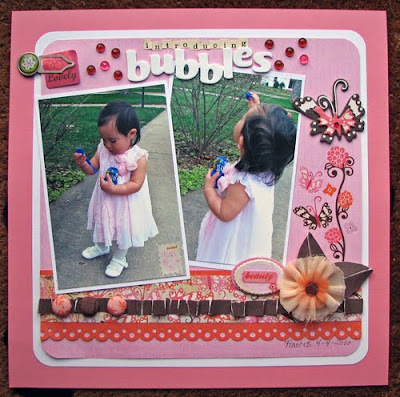 Welcome to Scrapbook Challenges Blog Hop!!! If you just found us you can start the blog hop at Pamela's blog. Let me introduce myself in case you are new here. I am Sarah, a returning DT member to scrapbook challengs. I loved my time on the DT so much I was thrilled to be asked back for another term. I live in Chicago with my husband Ron and 1 year old daugher Frances. Frances is the subject of most of my projects. For the blog hop Pamela created this special sketch for the new DT, returning DT, retiring DT and YOU!!! Yes you! You can join our blog hop by creating a layout based on this sketch and posting it to the hop on section in the Scrapbook Challenges forum. And your name will be entered into a random draw for a pretty fantastic RAK (see below for details!). Here is my layout based on the sketch. This is my sweet Frances when she was only 2 weeks old. My how she has grown!! And now for the fun part- the RAKS involved in the blog hop!! 1. I am doing a random draw for two packages of Sassafras goodies! To be entered for the first package just leave a comment on this post. I will do a random draw of all my followers for the second package. So if you leave a comment and become a follower of this blog you will double your changes of winning! 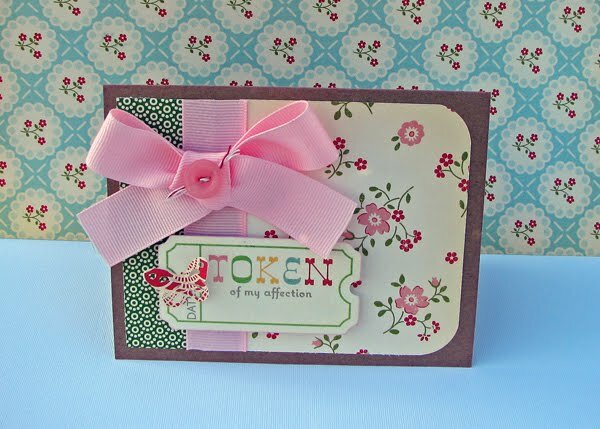 I will announce the winners here and on scrapbook challenges at the end of the blog hop. 2. Everyone who leaves a comment on ALL blogs, gets entered into a drawing for the April Scarlet Lime kit shown below! 5. 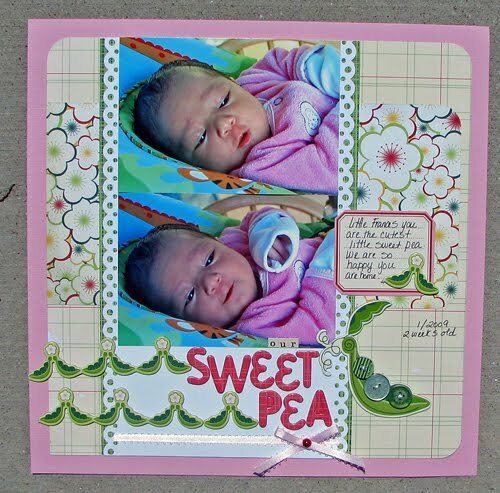 And another Prima RAK for inviting someone to join Scrapbook Challenges using the invite link on the site. Good Luck Everyone and I can't wait to see all your layouts!!! Hello there everyone. Here are some new challenges for you. And here is my take on the sketch using some fabulous My Little Shoebox papers and embellies. I love, love, love the MLS papers, but unfortunately they can not be found here. Luckily I found some on Scrapbook.com and had it delivered. They were out of some of the designs I wanted, but I found lots of goodies. I flipped this sketch to make it fit my photos a little better. You can see what the rest of the DT did with the sketch HERE. 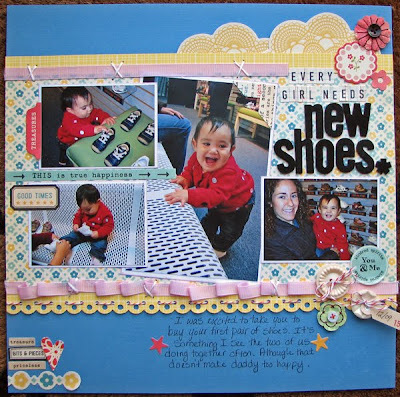 And it is also my week to host a challenge at Scrapbook Challenges. My challenge this month is "Spring All Over". For this challenge you have to use a variety of spring related embellishements on your layout. All the details can be found HERE. 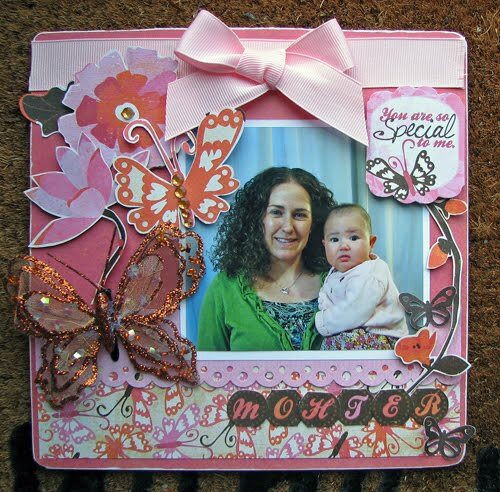 This is my example layout also using my new My Little Shoebox papers. The Scrapbook Challenges sponsor for April is Paper Crafts and they have generously donated a prize pack for one lucky winner. For every challenge you enter your name will be submitted for the random draw. Good luck to all who enter! It's seems like forever since I have posted! Boy oh boy has it been busy around here! The end of the school year is always the busiest and I haven't had a moment to relax lately. Only five weeks until summer break though and then I will be staying home with my sweet Frances. I can not wait! Now onto the May kit from Simply Obsessed- Crate Paper Pink Plum! I loved this kit. The colors and embellishments were just perfect. 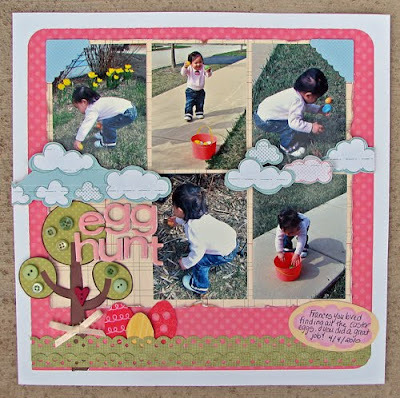 I finished two layouts of our Easter pictures. My last project is an 8 x 8 wall hanging I made from the page of an old chipboard album. I used a picture of Frances and I from Mother's Day last year and used repositionable tape so I can change the photo this Mother's Day. And I saved some exciting news for last! 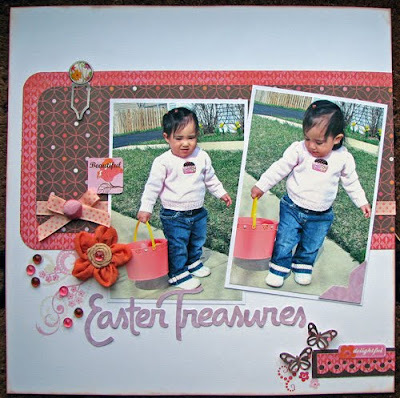 Scrapbook challenges is having a blog hop this weekend! I hope you will be able to make it. There will be lots of RAK's to give away and the new DT members will be announced. 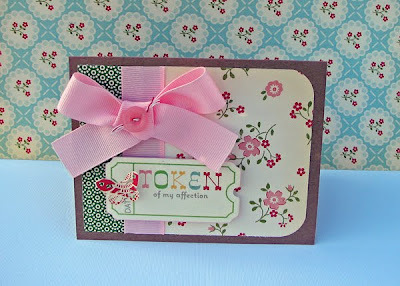 And if that's not enough the blog hop will also coincide with our National Scrapbook Day crop. A little late, but here is the sketch this week for scrapbook challenges. The talented Pamela Young has done it again! You can see what the DT did with the sketch HERE and play along with us! So no scrapbooking for me the last week, but there is a new sketch posted at Scrapbook challenges. Also my April "Daily Grind" challenged is posted at Challenge Masters. It is to scrapbook some of your daily errands. All the details can be found here. If you enter you will entered into a random drawing for a RAK from me and in a drawing to win a prize from the current sponsor Cutter Creek store! It is a really cute package of scrapping goodies. The April Kit from Simply Obsessed has arrived! I loved working with it and there a still a few more left in the store! I made these two layouts and a card and I have a few more layouts in the works. I was also asked to be apart of a new design team- Challenge Masters. This is a really fun challenge site with lots of diferent challenges. I am going to be heading "The Daily Grind" group. My first challenge will be posted on Sunday.